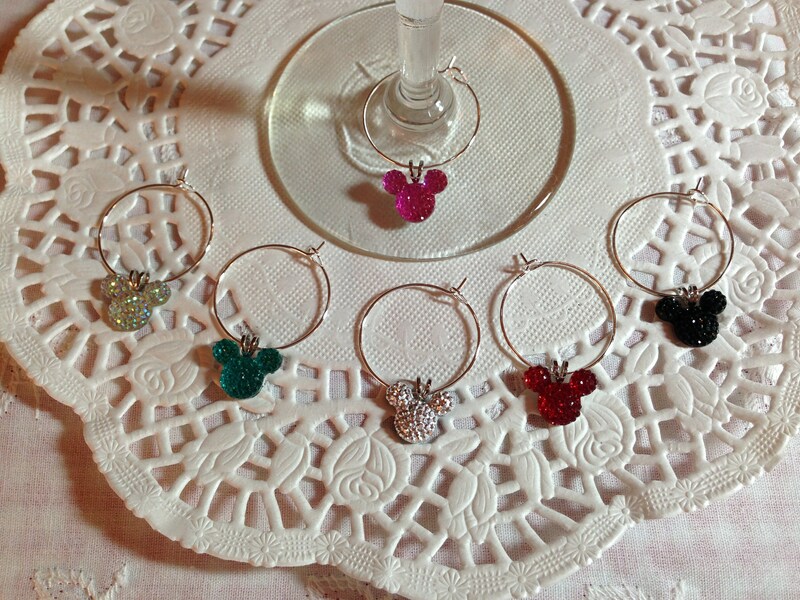 I am the original creator of the mouse ears bling collection. The rest on Etsy are copycats! 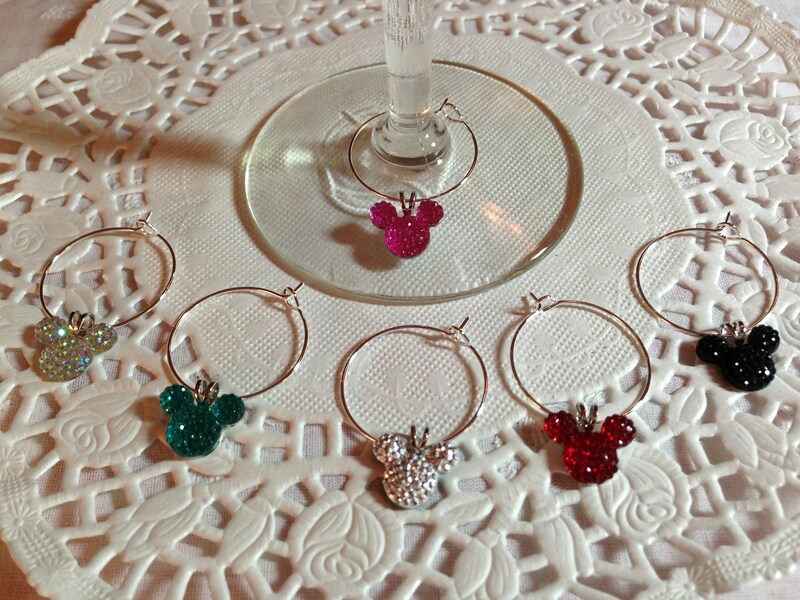 The hidden mickey wine charms will be perfect for a Disney wedding rehearsal dinner, the bridal party at the reception, or favors for the whole invited list. 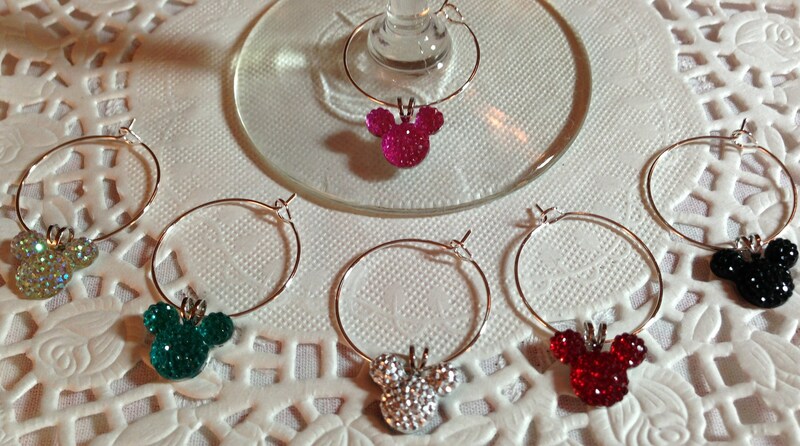 Also perfect for entertaining if you just love the mouse! Check with me for prices for larger amounts.